The rapper dropped the 11-minute "Kick Off" late Friday night (Nov. 30), and he mentions Ariana Grande (while referring to the terrorist attack at her concert in Manchester in May of 2017) and compliments Jada Pinkett Smith ("Told this chick she's hot as Jada Pinkett/And just stared 'til I made her think it"). Eminem raps about beating Witherspoon to death with a broom, and the third verse features a barb at Justin Bieber ("Justin Bieber in a Catholic school/Selling dust and reefer when your back is to him"). The Kamikaze MC raps for over 10 minutes and in that time period he spits about a plethora of subjects including Islamic terrorism and the infamous Manchester Arena bombing following Ariana Grande's show in 2017. 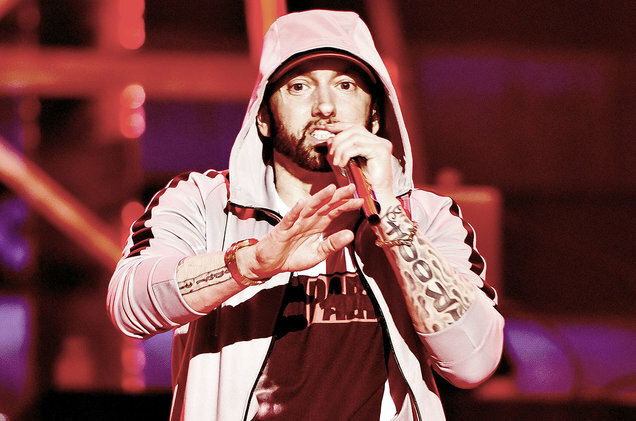 Regardless, there are plenty of familiar names to be found in the lyrics of "Kick Off," and Marshall Mathers' latest output falls in line with his many instances fo violently attacking women with his words.